You are here: 3B Training > Security Training Courses > Security Guard Vs Door Supervisor: What’s The Difference? 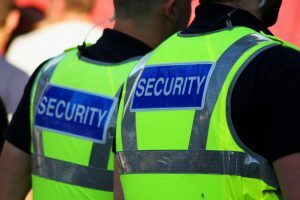 Security Guard Vs Door Supervisor: What’s The Difference? Security Guards and Door Supervisors are similar but aren’t the same. Take a look below at what the difference is between being a Door Supervisor and a Security Guard. As a security guard, you are not licensed to be working on premises that permit alcohol consumption. Although, you can work in a range of non-licenced premises instead, for example, retail stores. This means your role may vary depending on the industry you are working in, however, the main responsibility is to make sure everything runs smoothly for the premises you are working in. If you are a door supervisor, you are able to work on premises that are authorised by a local governing body. Typically venues that serve alcohol, for example, pubs and clubs. This role comes with the responsibility for protection, security, dealing with conflict and judging if someone is suitable to enter the licensed premises. Why Complete the SIA Door Supervisor Level 2 Course? A Door Supervisor can act as a Security Guard. However, a Security Guard cannot act as a Door Supervisor. Therefore, by completing the SIA Door Supervisor course, it will entitle you to not only take on Door Supervisor roles but Security Guard roles too. 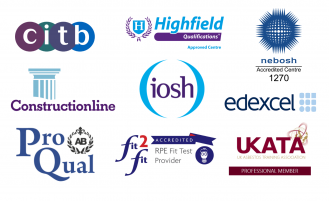 Furthermore, this will increase your employability, as you will be able to work in a variety of industries. Take a look at the variety of industries being a Door Supervisor allows you to work in here. How do I book the SIA Door Supervisor Level 2 Course? It’s quick and easy to book a course with 3B Training. You can simply view our upcoming dates and book online here.